Home Fun Stuff	What Makes Freedom More Than a Boat Club? 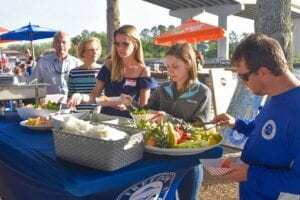 When I became an owner of Freedom Boat Club, I anticipated the benefits it provides members, such as unlimited access to a fleet of over 80 boats and 3 locations around Jacksonville. What I didn’t expect was the creation of a Freedom family. Freedom Boat Club offers more than the amazing benefits you would expect with a membership. 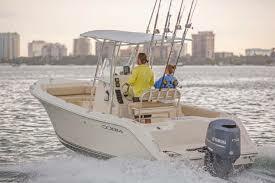 We also offer a community environment. With awesome events hosted throughout the year, there is always something to look forward to. I always feel like part of the family when I see members enjoying their time at these Freedom functions. Looking back on 2018 I can’t believe how much fun we’ve had. 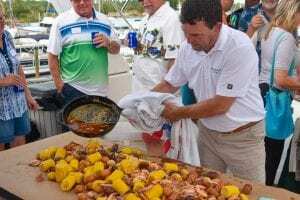 Check out these events that make Freedom more than just a boat club. 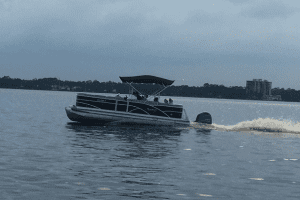 Freedom offered an opportunity for all members to come out and gain some additional boat training. 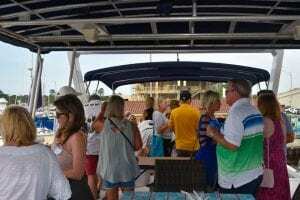 Attendees learned more about boating and got some great practice in, while hanging out and getting to make new friends. Live music, great food and even better people. 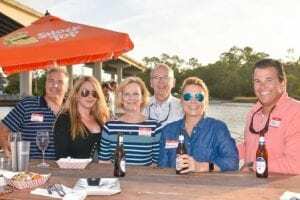 Last April we met at Palm Valley Outdoors and let loose with old friends and new. This was a great event when our ladies of Freedom Boat Club spent a day on the water. 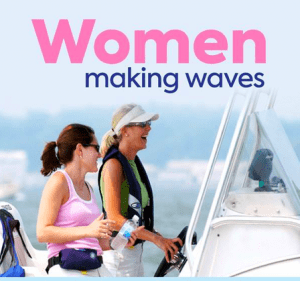 It was an opportunity for women to get more comfortable behind the helm. Afterwards, we hung out and were treated to lunch. 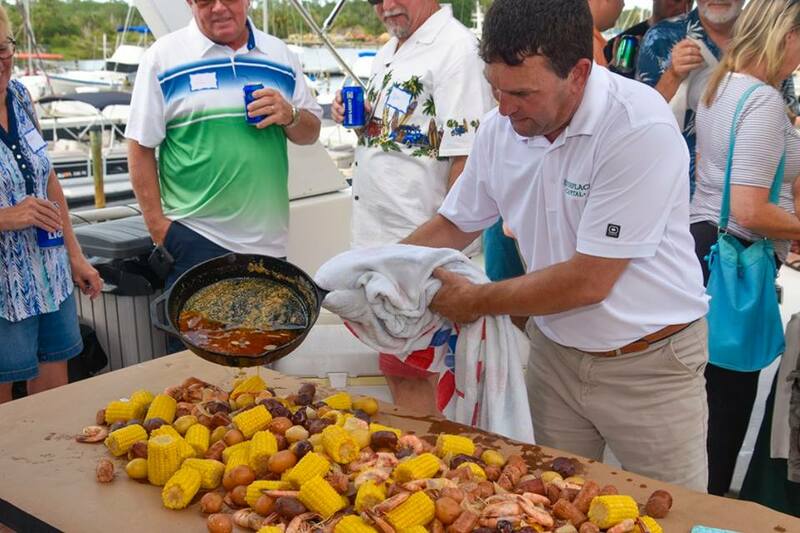 Freedom teamed up with our friends at Riverplace Capital and Watson Reality for a tasty and fun low country boil. 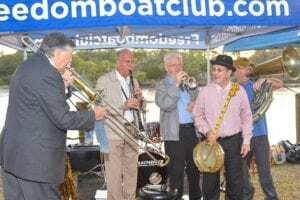 The event was held on our houseboat in Jacksonville Beach and the night was full of live music, delicious food and fun. 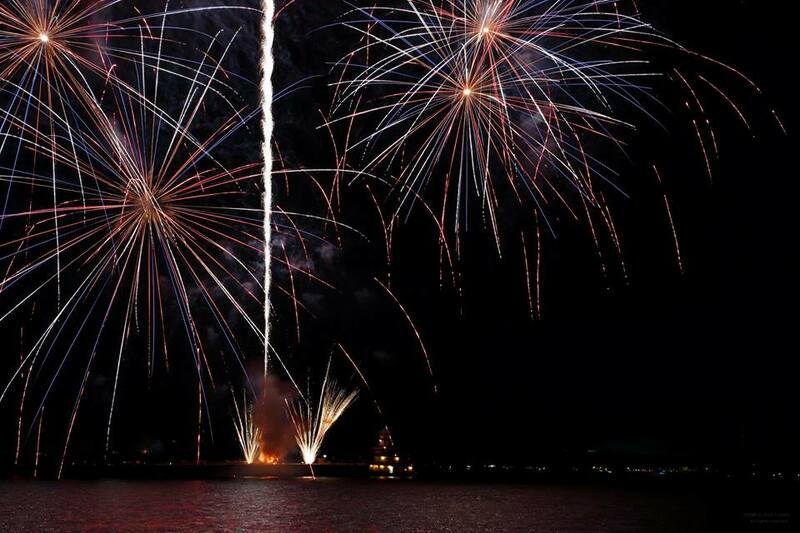 It doesn’t get much better than watching fireworks on the water. We gathered members at the dock and cruised over to Mooseport for a spectacular nighttime show. 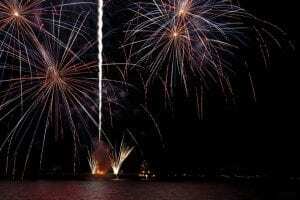 The only thing better than the spectacle in the sky was the family and friends that surrounded us. This summer we loaded up the pontoons and headed downtown for a Jacksonville Jumbo Shrimp game. Once we got there, we got to grill out, watch some baseball and hang out with the Freedom family! Have you ever tailgated on a floating tiki bar? I couldn’t think of a better way to prepare for a Jaguars game than by boat. 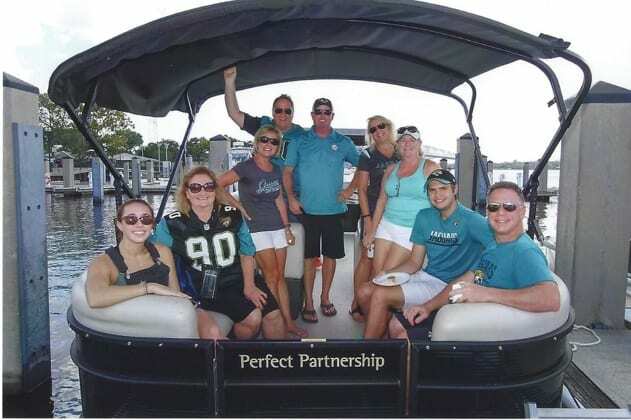 Our staff took members on pontoons from Julington Creek to downtown for a good time to watch our favorite hometown big cats. We had food, drinks and most memorably, fun. 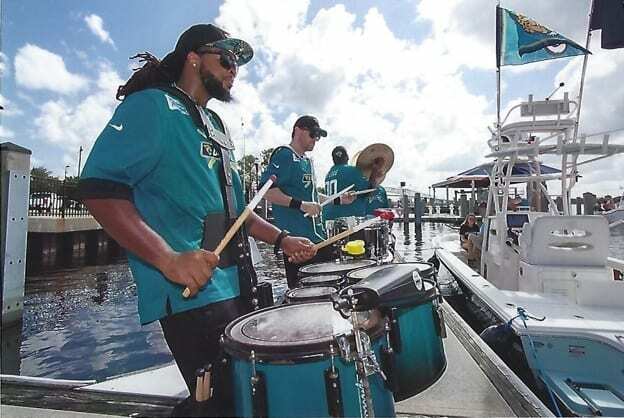 We were even treated to a private performance by the D-Line and a visit from Jaxson de Ville. 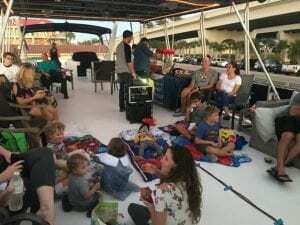 Part of what makes Freedom Boat Club a family is we always have something for the kids. 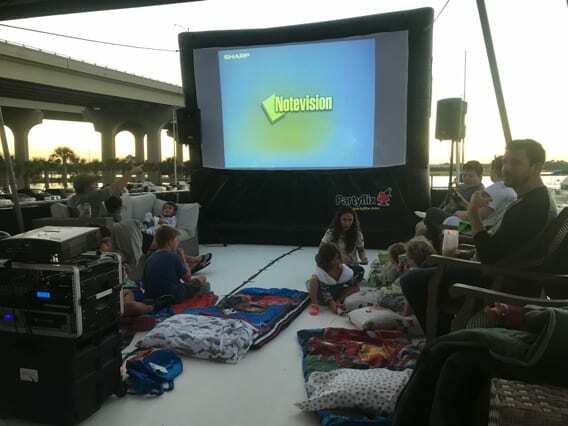 Last October, we spent an evening on the spacious houseboat for a movie night. 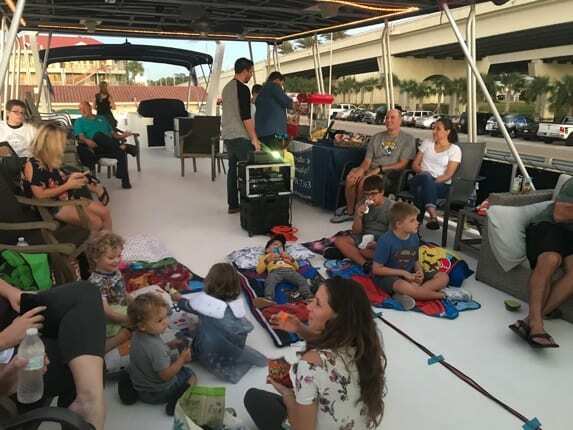 Under the stars, the kids got to enjoy Finding Dory, while the parents enjoyed food, hanging out, and simply being on the water. 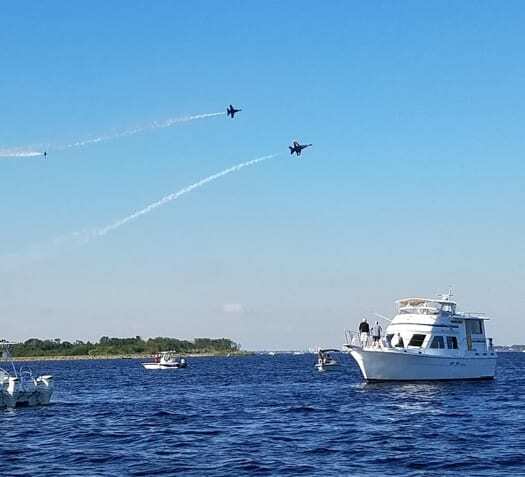 We had the best seat in the house for the Jacksonville Air Show this year. That’s because it wasn’t in the house, it was on the water. Freedom Boat Club members took boats and anchored right under the action. 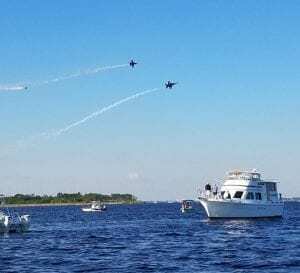 Imagine all the fun of an airshow without the traffic and crowds! 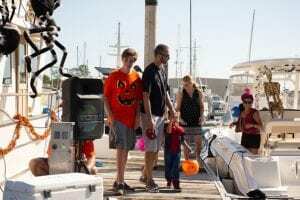 Trick or Float was another event we put on for the kids. However, that didn’t stop any of us adults from dressing up and having a good time too! 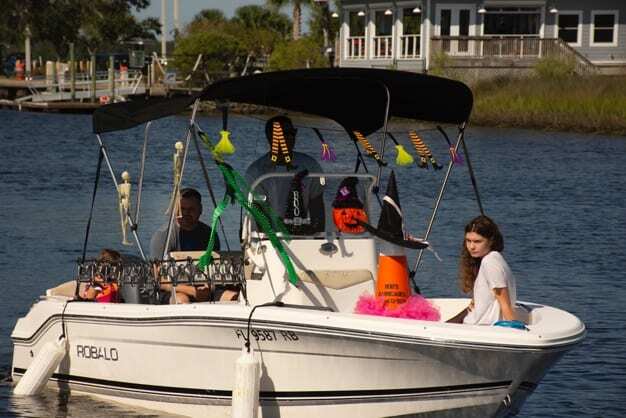 Trick or treating got even more fun this year when kids could visit spooky boats to get some candy. 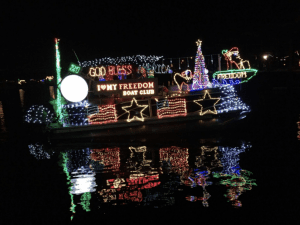 It was great to finish off the year by watching our boats light up the Christmas Boat Parade. As the Freedom boats reflected beautifully on the water, we reflected on all the great events they put on over the past year. 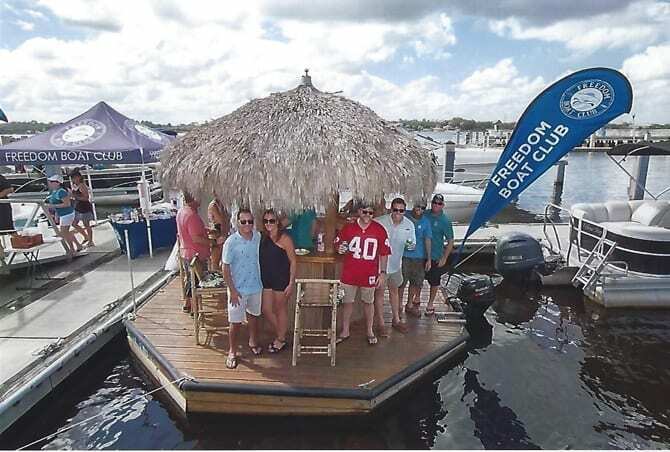 Freedom Boat Club is more than a club, it’s a family. What was your favorite event last year? Which ones are you looking forward to this year? 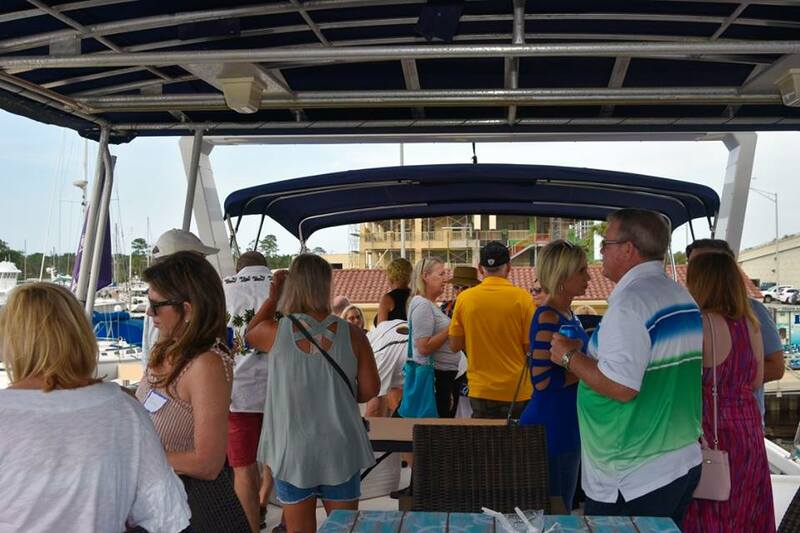 Make sure to follow us on Facebook and Instagram @freedomboatclubjax to keep up with upcoming events and share your favorite memories!